As you see, Play-Doh is quite popular and personally, we don’t feel like it’s ever going to disappear completely. Yes, there are other companies that have emerged and making different things that imitate Play-Doh in a way, but nothing is ever going to be as fun as playing with a big old ball of Doh, because you know, the possibilities are almost endless …well, at least in a kids mind, they are. 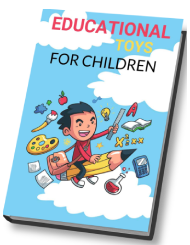 With Play-Doh, children can make a delicious bowl of spaghetti and meatballs (not real, but in their minds), mold their own animals and so much more. 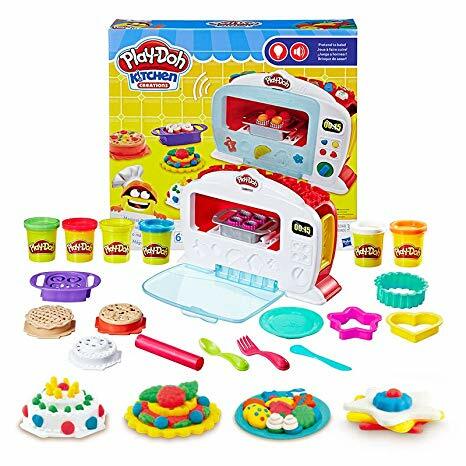 Now, with the introduction of Play-Doh Kitchen Creations Magical Oven, things just got a little bit more interesting for the little ones. With Play-Doh’s Kitchen Creation line, the little ones in your life will feel as if they’re baking exciting food in their very own kitchen. Of course, the good they’re making isn’t real, so you can’t actually eat it – it’s not like an Easy-Bake-Oven or anything like that, but like we said, in their mind, they will feel as if they’re doing something exciting …that is because the magical oven is all about excitement! With the Magical Oven, as your child plays with it, the food is actually going to “rise.” You know how bread rises as it cooks? The Play-Doh will do the same. Don’t tell the little ones, because we don’t want to take the magic out of it, but the food rises because of a lever that is pushed on the back of the oven. As the food cooks, there’s all kinds of neat lights and noises that sound off …which is another feature that children really do love. If you have a child that is head-over-heels for everything Play-Doh (most children go through that Play-Doh phase), then the magical oven is a major must have. It will make a good Birthday/Christmas present or a “just because” present. Make pretend foods like make-believe muffins, play pizzas, and crazy cakes. oven makes Ding! sound when done "baking"